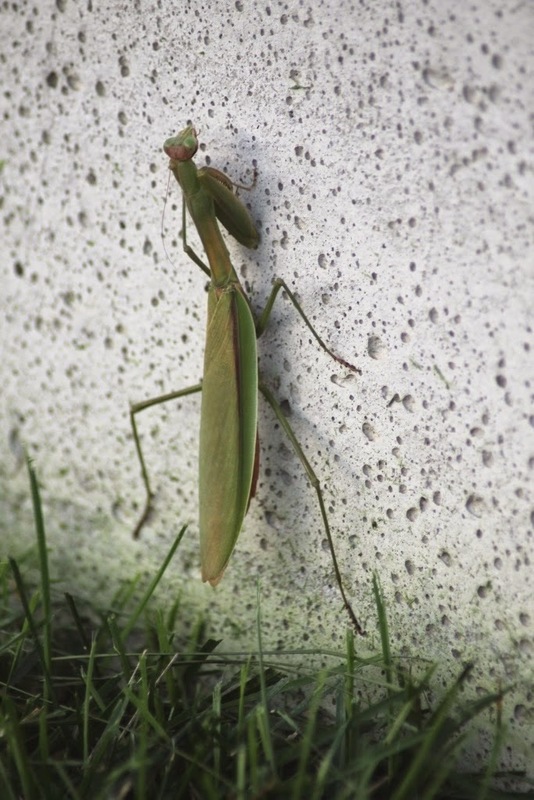 While weed eating yesterday, Corinne discovered that we had a new outdoor pet at the shop. This little (BIG!) guy was still hanging out in the same spot this morning. It must be a hot spot for long-legged, large-winged, exoskeleton-sporting critters. He was a very willing subject, staying almost completely still while I snapped dozens of photos this morning. It may have something to do with the cool temperatures causing his fragile insect body to seize up in these early morning hours. I'm sure he'll be on the move again after the sun gets his buggy little system going. This was my favorite photo of the bunch. 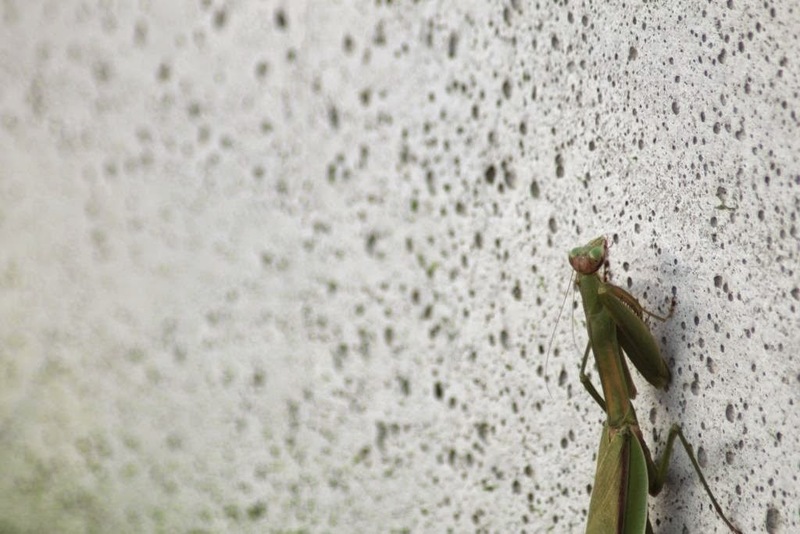 Someday, when his praying mantis band really takes off, he'll use this as an artsy album cover. He'll have all instrumental tracks with ridiculous titles like, "Six Legs into the Sunset on a Sunday Afternoon." And I'm certain that his album title will be "Pouring Our Hearts Out on a Porous Concrete Wall."